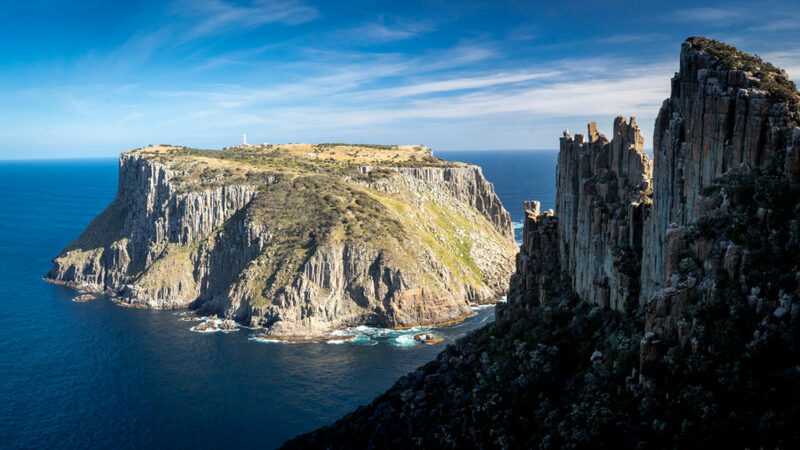 When it comes to recommending activities for visitors to Tasmania, the Three Capes walk has quickly risen to be in my top five list. Well, for affluent hikers anyway. At roughly $495 for a three night walk, it is out of the price range of most of my friends. Not that the experience is bad value for $495, its just that $495 is a lot of money. 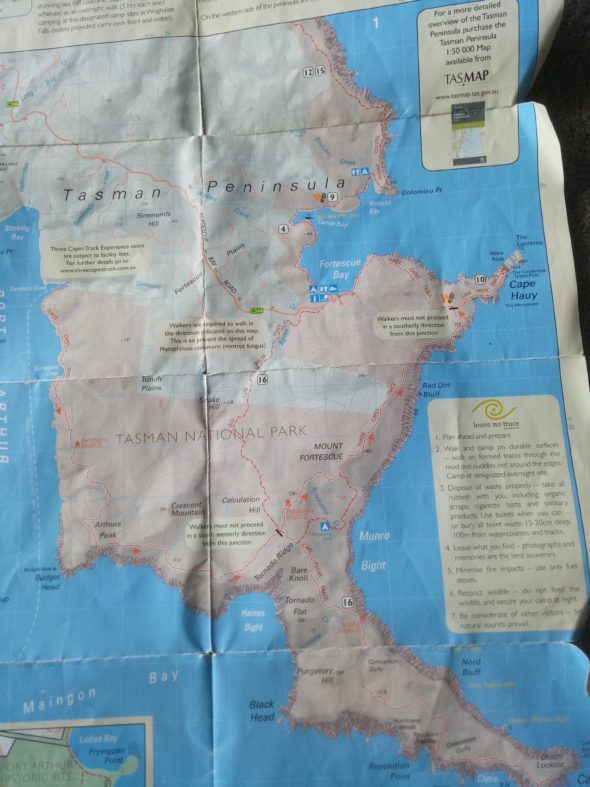 It is worth pointing out that the creation of the track has led to some areas of the Tasman Peninsula, while not completely blocked, harder to get to. There is a possible argument that restrictions have been put in place to stop the spread of Phytophtora. If that’s the case, they are it is not made clear. If you are willing to put up with the restrictions, there are upsides. Thanks to fee payers, the trail is now one of the most sculpted and well maintained tracks in Tasmania. Possibly Australia. The new huts also provide a reliable and conveniently spaced source of fresh water. While I was there, the hut staff were more than happy for us to fill our water bottles. Hopefully this stays true. One of the hardest parts of doing this hike was just finding information online. I really get the feeling that Parks have not gone out of their way to provide information on self directed walks, just plenty of links to the paid experience. So where can you stay? There is one campsite on the peninsula, Wughalee Falls. 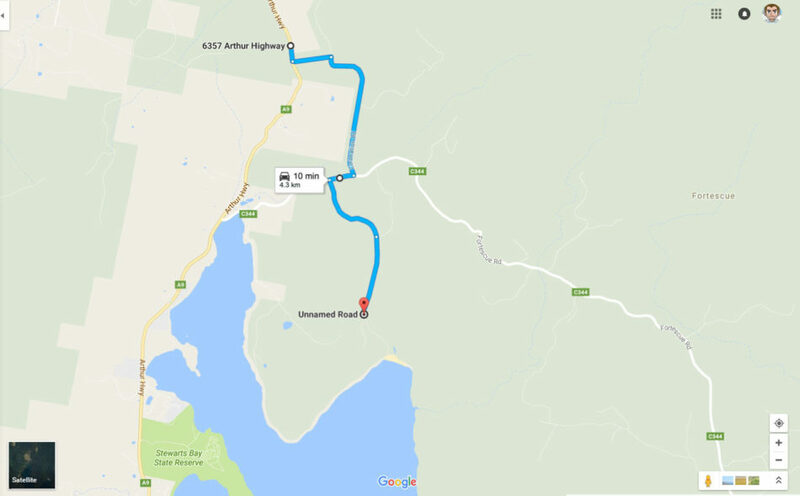 You do not need to book, and can camp for the cost of a normal Parks Tasmania pass! Wughalee Falls campsite is roughly dead centre of the Peninsula and provides a great base for exploring. Sure, it could have done with a view, or a reliable water source, or not be 300m down a valley, but otherwise It’s pretty nice. Hikers can also stay at Fortescue bay, which is a small extra cost. But great if you need an extra night or have to camp for an early start in the morning. Pillar and then North to Cape Hauy. I feel I should make special mention of the spectacular huts. While I was pleasantly surprised by my first sighting, I quickly realised that I was looking at the toilet block. The real hut was 50 meters away round a corner of the track. The complete Package. Attempt at own risk! It is also possible to do the complete walk while adhering to the one way traffic rule. After you take the turnoff for Fortescue Bay take a right toward Stinking Bay. The last hundred or so metres will be walking or 4WD only. From there you are free to continue to walk from the very start of the track as per paid walkers. Please note I have not done this myself. I’ve and come by this knowledge second hand. But let me know if it worked out for you!